Take advantage from the digitalisation of supplier relationship management to bring benefits in terms of cost saving, maverick spending governance and increasing the compliance in direct and indirect purchasing and e-procurement processes. Increase efficiency by harmonizing master data across functions and back-end systems and other legacy applications using a common database updated in real-time so improving the data accuracy and maintained a high quality and reliable supply base. Improve the effectiveness of supplier qualification and performance monitoring processes providing updated vendor list and score card. Monitor and audit internal and external regulatory requirements by supplier and/or contract level. 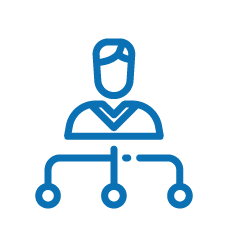 Configure a flexible template to address any type of cost breakdown for any spend category and support the selection (manual or by categories) in order to invite the appropriate number of qualified suppliers to participate in bidding events providing automatically notify when any changes to tender or specifications occurred. Enable negotiate best-value agreements using dynamic and collaborative negotiation mechanism monitoring the status of responses and reminders, reopen negotiation, store and retrieve historical tenders with access control allowing only for authorized users. It is possible to manage the two-envelopes bidding procedure (Technical and economical). Provide a bid benchmark based on predefined scenarios (lowest cost by item, best one, etc…) for identifying the optimum one. It enabes a pre-awarding notification and split the award tender to one or more suppliers. Enable the digitalization of entire contract lifecycle, including contract authoring, using workflows to address negotiation and internal approval, and execution via electronic signatures. Improve the contract lifecycle compliance through available pre-defined contract template, task-driven reminders and alert for renewal activities as well as search, storage and reporting capabilities. Streamline the internally and with trading partners communication during negotiations through proactive notification system along the entire e-procurement process and shared contract repository. Enable an effective collaboration between internal users and purchasing departments using operational workflows so streamlining the process of demand aggregation and converting the requests its into requirements. Integrate external supplier catalogs (load or punchout) to eliminate manual handoffs and simplify the price comparison based on macro categories according to appropriate tree as well as have visibility into catalog updated status in terms of validation and publication. Provide purchase budget report status on “n-dimension” (category, cost centre, contract, organization) so monitoring the performance and identifying maverick buying, processing forecast, and variance analysis. 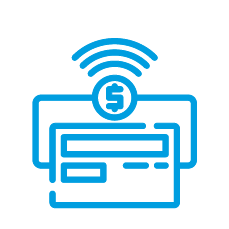 Streamline the operational e-procurement through web-based self-service (shopping cart) and collaborative requisitioning for spot order provide a complete visibility for the order processing status and change tracking each event occurred. 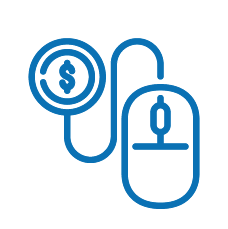 Support the e-procurement process from the purchase request approval to issuance and placing order using workflows based on organization chart or other company policies and priorities. Provide an efficient management of the working progress status or activity report through an effective collaboration between buyers and suppliers, included the copacker, based on appropriate data exchanging routed by specific workflows. What are the main benefits of sourcing and procurement digitalisation? Digitalized process leading to shorter sourcing process cycle time through an improvement of the effectiveness optimizing the activities dedicated to recursive purchases and dispatch appropriately all information related to vendor rating, RFXs, and offers. *Source: “Digital Supply Chain: il circolo virtuoso”, Digital and e-Invoicing Observatory. Ensure budget available with approval workflow before issuing the purchase requests. It monitors timely the Budget vs Ordered and Invoiced, using dashboards with drill-down functionalities. Enables to govern and control – in each phase of the sourcing process – the compliance of both internal procedures and regulatory obligations at different detail levels taking advantage from centrally storing all documents and complete trace of their versions. Provide a unique multi-enterprises and collaborative solution to achieve the goal to manage an actual E2E Collaborative Supply Chain. Design on cloud modular approach covering the supply chain processes with integrated and parameterized building blocks. Ensure a correct data flow exchange across different legal entities and users everywhere are located. Enable companies to reach out to business partners via their preferred channel: email, web portal, spreadsheet, app mobile, private and edi flow. Centralize the exchange of information for all trade partners so they can work collaboratively, securely, and in real time. Provide a seamless integration with third party systems enabling a digital supply chain ecosystem: ERPs, PLM/PDM systems, Mobile Apps, EDI, and legacy system. Monitor the event status and forward proactive notification when an event occurrence using appropriate workflows. Map the user profile based on both organization chart and processes exceeding the traditional IT silos approach. Lead the entire document lifecycle (creation, upload, approval, index, storage, and retrieve) and provide a unique repository thus making documents accessible to more users. 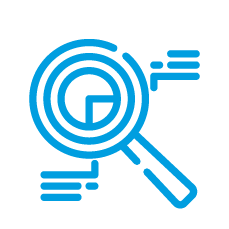 Enable data and exception analysis with drill-down features and offer a rapid development of kPIs and reports. Provide a wide range of services to support the internal users after goal-live and accelerate the suppliers’ onboarding improving the effectiveness of the project. Through a single portal, we can automatically send from our ERP system to our SCM system the purchase orders and related specifications and drawings documents to suppliers. Furthermore, we can automatically handle order confirmations, with detailed upgrades and shipping alerts concerning the availability of the goods in production, thanks to the improved punctuality of the suppliers. Managing orders on ERP and PLM was not enough. That's why we looked for a solution that mainly offered supply chain management functionality on orders that could meet our requirements rather than international references: TESISQUARE® prevailed in the race. We recorded a significant improvement of the service. There are greater efficiency and speed in the transmission of orders and we can monitor supplier performance. The qualification process can be started by supplier self-registration, using form hosted on customer web site or enrolment request email from buyer to one or more specific suppliers selected from the existing vendor list or external databases. 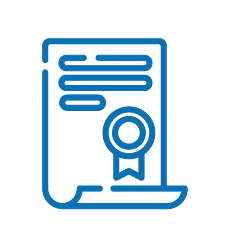 The supplier profile handles questionnaires surveys and includes attachments such as certifications and other documents required for compliance policies improving the supplier relationship and collaboration. The bidding events feature provides automatically notify when any changes to tender or specifications occurred.